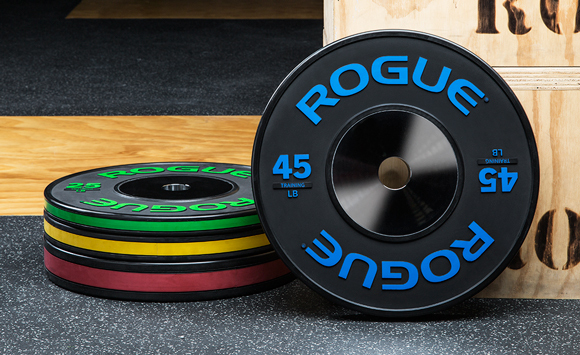 Columbus, Ohio — Rogue Fitness has formally announced the acquisition of OSO Barbell, a leading designer and manufacturer of barbell collars and other specialty weightlifting products. As part of the agreement, Rogue will carry all OSO products into its line-up in 2018. 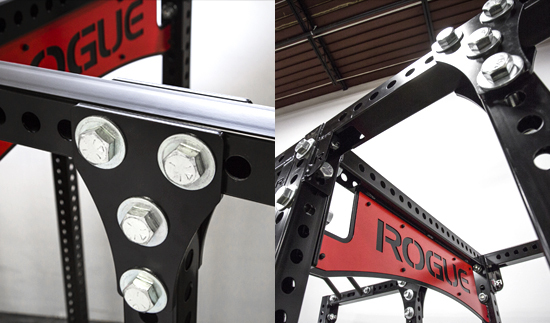 Based in Columbus, Ohio, Rogue is among the single largest producers of American-made strength and conditioning equipment, including its own line of original power racks, barbells, and bumper plates. The company has had a working relationship with OSO Barbell for years, highlighted by the production of exclusive Rogue-branded OSO collars. Founded in Frederick, Colorado, by Tyler Stilson, OSO Barbell’s central focus has been its billet-grade aluminum collars, available in a range of brand names (Pro, Titan, Elite, Mighty) and colors. These distinctive, gear-shaped clamps, designed by industrial engineers, have gained favor for their durability, ease-of-use, style, and performance. The company has also produced a line of “Mini Bars” for beginners, along with False Grips, Safety Blocks, and more. Rogue plans on continuing to service current distribution channels and keep the product lines moving. They will move OSO’s production to Columbus and work with Tyler Stilson to create new products. Rogue Fitness is the leading US-based manufacturer of strength and conditioning equipment and a major distributor of top brand fitness gear and accessories from around the country. The company started in a garage in 2006 and has grown to more than 500 team members at its new 600,000 sq. ft. headquarters in Columbus, Ohio. Rogue is the official equipment supplier of the CrossFit Games, USA Weightlifting, the Arnold Strongman Classic, and the World’s Strongest Man competition. The company remains dedicated to serving the needs of serious strength athletes at every level, from the garage to the arena. So now you can get in early and get the things you need or just want! 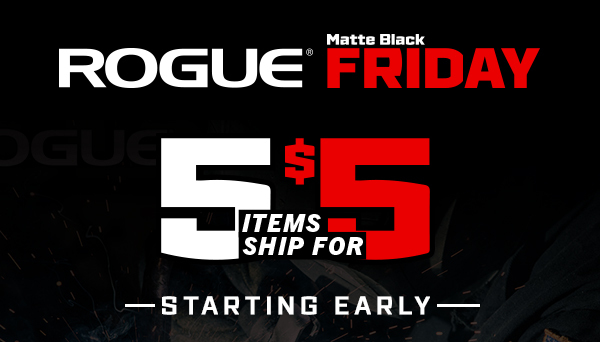 Next up will be hot deals on our most popular gear and new Matte Black Friday Exclusive items. These will all be on our Hot Deals & MBF Exclusives page. 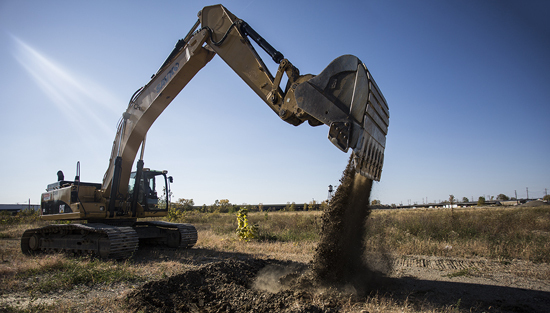 1We just broke ground on the new Rogue Campus that will house approximately 500 employees across our manufacturing, distribution and HQ team. The Industrial Revolution 2.0 is alive and well. 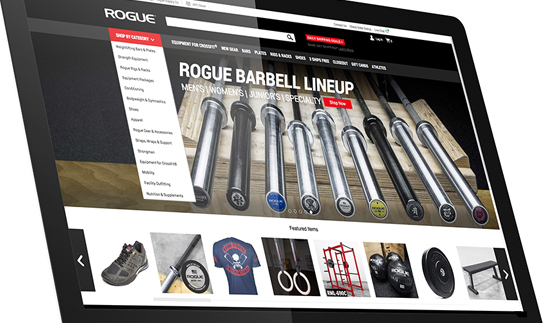 2We just launched our new 2015 Roguefitness.com redesign and it is really nice! 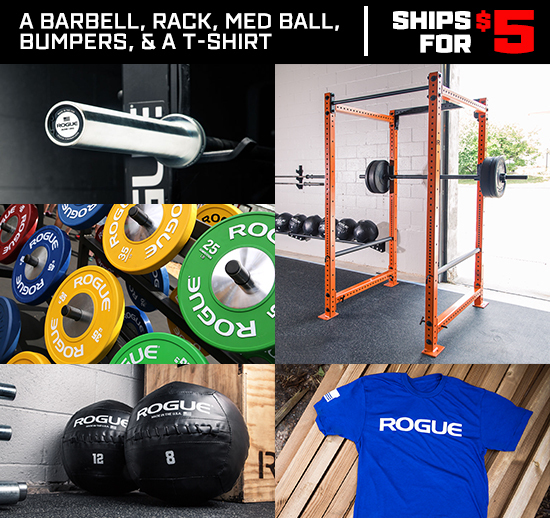 As an added benefit, it has a shared cart option so you can add items from Rogue Supply and Rogue Fitness for cool shipping deals etc! 3The Rogue Design Team has been cranking! 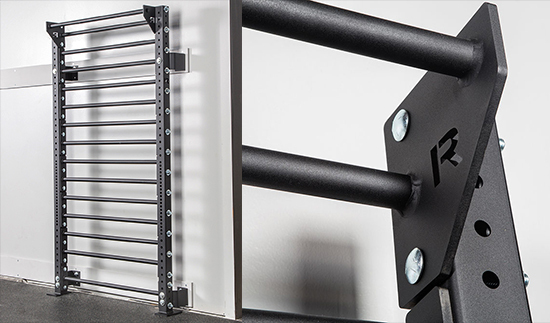 3.1 Monster Racks – We are slated to launch these in early November. Putting the finishing touches on these. 3.21 Metal – This is going to be a more econ version of the stall bars but definitely gets the job done. 3.22 Wood – This version has maple rungs that are held into sockets with custom hardware. A Bit more expensive but they look and perform at the top of their class. 3.3 Thompson Fat Bells – These are slated to launch by November 1st. Donnie designed these and we took them to the finish line. Good pricing and great tool. 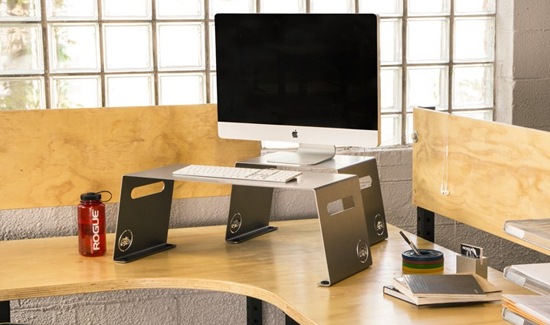 3.5 Desk Riser – If you want a quick fix to having a stand up desk, here it is! 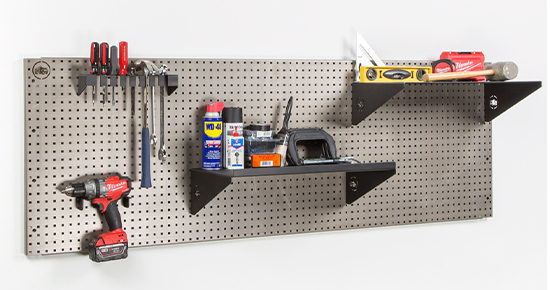 3.6 Wall Organization – Want to organize the small items in your gym or garage? Here you go, all laser cut and built at Rogue. 3.6 New Training Bumpers – Checkout the slick new stripe on these plates!! The CrossFit Liftoff Powered by Rogue. In the background we are working on some cool deals for everyone during Black Friday and Cyber Monday!! No one on the Rogue team is Henry Ford, but we did build our business around a very similar principle. For Ford, it was the idea of providing a quality automobile that the average person could afford– a goal he famously achieved through innovations in design and manufacturing. It wasn’t an easy road, though. As seen in the photo above, George Selden and the Association of Licensed Automobiles owned a patent that basically held other manufacturers hostage for years. It took the determination of Ford to fight and finally defeat that monopoly, opening the door to the modern auto industry. 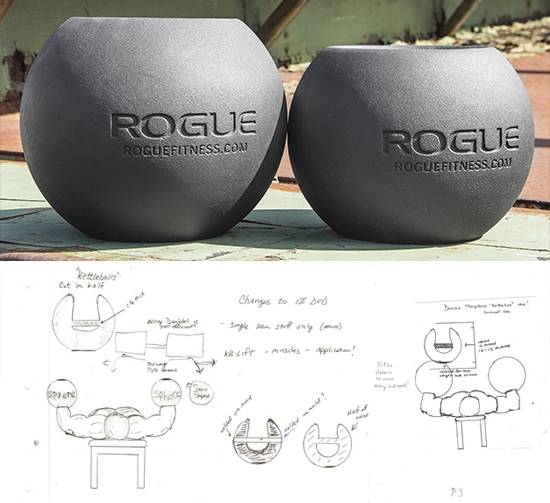 I think this drive toward delivering a “quality product the average person can afford” is what makes Rogue Fitness unique, as well. Like Ford, we did not invent racks, squat stands, yokes, barbells or bumper plates. What we’ve done is work tirelessly to give our customers the best possible value in our industry. It’s what we think you deserve. 1) We design, build and warehouse at Rogue. We own our manual MIG/TIG welders, robotic welders, CNC machines and presses. Our footprint spans 400,000 square feet between manufacturing and warehousing. 2) We ship orders, big or small, in one business day. The only thing that would keep us from doing this is stock levels. Lucky for us, we manufacture our own equipment. The industry norm is 6-8 weeks for racks and full gym outfitting. We cut this down by 98%. This was done by stocking everything we make– hence the need for a 170,000 Sq Ft distribution center. 3) Build equipment with options. Our Infinity Rig has exactly what its name describes– an infinite amount of options. 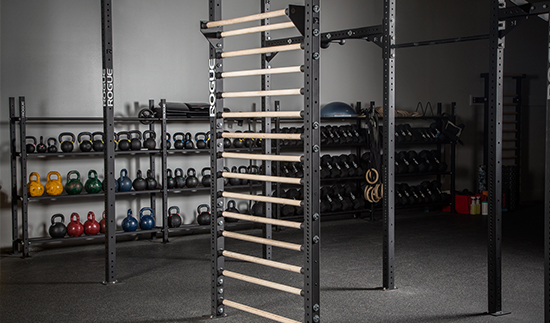 We have built small garage gyms to 300’ CrossFit Games pull-up rigs. And for extra convenience, everything is built in families. Our latest family of items is the Monster family: big 3X3 steel tubes with 1” hardware. 4) Unique in Construction Design. Our design process starts and ends with the items described above in mind. We take a rack or squat stand and build them so we can ship them to a customer efficiently. Parts can be used in multiple products and will stand up to any abuse that can be thrown at them. This is achieved by laser cutting, robotic welding, and CNC machines—all highly repeatable processes that allow us to streamline our operations. These are the things we patent. We cannot patent a rack, but we can and do patent how we make it. 5) Listen to the Customer. Our equipment is crafted from the culmination of years of valued customer feedback. From the beginning, our pull-up rigs were built for CrossFit affiliates and other high volume gyms. We didn’t build some multi-station piece of equipment that only one person can use effectively. We designed for symmetry and volume. Our patented Infinity rig design is a repeatable rectangle that alternates from 4’ to 6’ spans. This enables the coach or trainer to look down a line and see any discrepancy in movement, allowing for clear, uniform coaching cues. 6) Safety in Design. The best example I can give you is that, almost every day, someone asks us to put something on the bottom of our pull-up rigs. There are many manufacturers that do this– add structural support at the base, etc. When someone falls from a pull-up bar and hits that piece of steel, however, it tends to result in disaster. This is why we have chosen not to abide such requests, choosing instead to address these concerns in every step of our design process. From the rubber padding on the ring hanger to the Dollamur matting at the CrossFit Games, we lead with Safety First. Not a day goes by that we are not trying to make everything we do better, and that includes building up our team that makes it all happen. We stand now at 160 Rogue team members, and our goal of 500 is within reach by the year 2015. 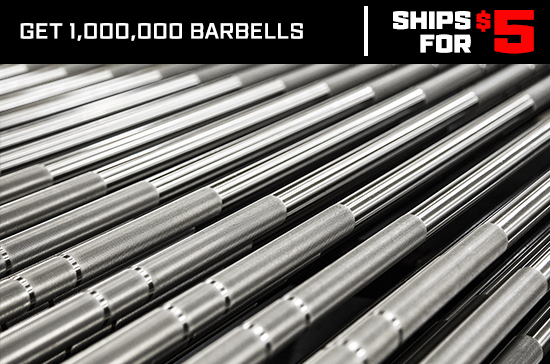 Westside barbell brought band use to the cutting edge of powerlifting technology, and for the past 10 years powerlifting records have been repeatedly broken. There are two main benefits to band training that have led to this increase in performance. 1. With traditional weight, the resistance is constant over the whole range of motion, but in certain parts of the range of motion, your own mechanical advantage makes this weight easier or harder to lift. For example in a deadlift, initiating the movement is the hardest part of the motion, because of the angle of the back and the position of your legs. Once the weight is above your knees, lifting it is quite a bit easier. For bands, the opposite is true. What this means is, that in lifts like, squats, deadlifts and bench press where your mechanical advantage is the least at the bottom, the resistance from the band is also the least, and at the top of the movement, where it is normally easier, the bands provide greater resistance. This allows you to train with resistance over the whole range of motion and build strength in the part of the movement that is normally neglected. You can also combine, weight and band resistance to emphasize different portions of the range of motion. 2. In order to overcome the resistance of the bands, speed out of the bottom is required. If you try to come up slowly, the lift simply will not happen. This helps athletes build explosiveness that translates into increased power for the for all types of athletic performance. Rogue carries two lengths of Monster Bands including our original 41″ Rogue Monster Bands and our brand new 12″ Rogue Shorty Monster Bands that can be used in situations where the longer bands would have to be doubled or tripled over band pegs in order to create tension. Of course, bands can also be used for assisting body weight exercises, stretching, plyometrics and many additional exercises. There are multiple versions of the new Fat Bar Grips. All are 3″ bars that can be used for pull-ups, farmers walks, band work, chain, barbell or odd object lifting to train your grip, but each has its own unique features. The double bar has 2 anchor points and can be used for super fat bar pull-ups or lifts. The single has an attachment point in the center, requiring additional balance and coordination. The mini is perfect for pullups, farmers walks and accessory work. 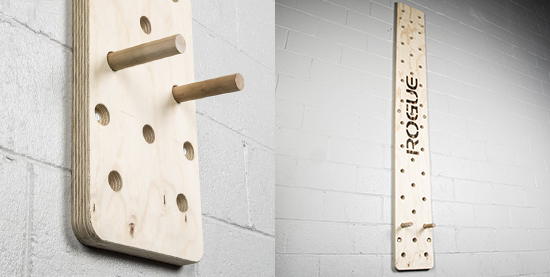 The Dog Bone Pullup Bar is a multitasker with two unique grip training areas. The center is a fat, 3″, suspended Pullup bar and each end is an even larger 5″ sphere to further challenge your finger strength. In both areas, the single center suspension point adds the additional difficulty of balancing yourself and your effort. This will also show any discrepancies between the strength of your arms so the can be corrected. When people are starting a home gym, and are looking for a cheap squat stand that will do the job, they often end up with a mass produced product that is made in China that will fail within a year of use. This is the case, because of the lack of quality American made options. Our standard S-Series squat stands are made so that all of the attachments for the Infinity Rigs will fit. For someone who does not need this extra functionality and is just looking for a no-frills squat stand that will take a beating and last forever, the answer has arrived. The all-new ES-1 Econ Squat Stand. We’ve put 1000 lbs. on the bar to test the capacity. We have options for either decision: the less expensive squat stand or the current S-Series line. The S-Series is the heavy duty modular system with tons of options. This is an American-made Econ Stand built to compete with the Chinese squat stands that other equipment companies carry. In fact, we even made it ship on our 3 Ships Free program. 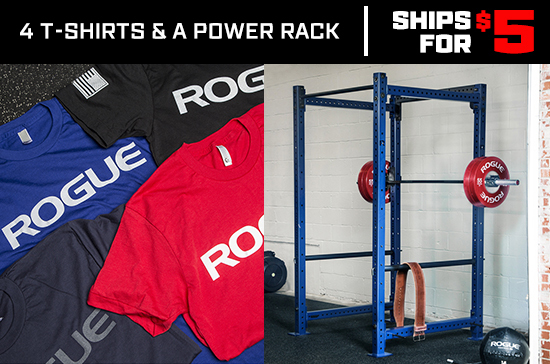 Buy two Rogue shirts and this and the package will ship for free! Rogue Renegade Row Handles not only work well for their namesake movement they can also be used for other row variations as well as weighted bear crawls and even weighted handstand walking. They also make a firm base for pushups allowing you to reach the full range of motion, rather than being stopped when your chest hits the ground. They have 5.25″ tall posts and bases large enough to fit most 25 pound steel plates. That means that loading them up to 75 pounds will not be an issue. Changing out deadlift weight can get very difficult when the weight gets heavy and can even end up being dangerous. Because you do not take the same care to set your back as you are trying to lift half the bar with one hand and slide a bumper on with the other, it can be an accident waiting to happen. The Rogue Deadlift Bar Jack solves this problem. You simply slide the jack under the bar, pull back, and the weight is lifted, allowing you to easily and safely add or remove weight from the bar.